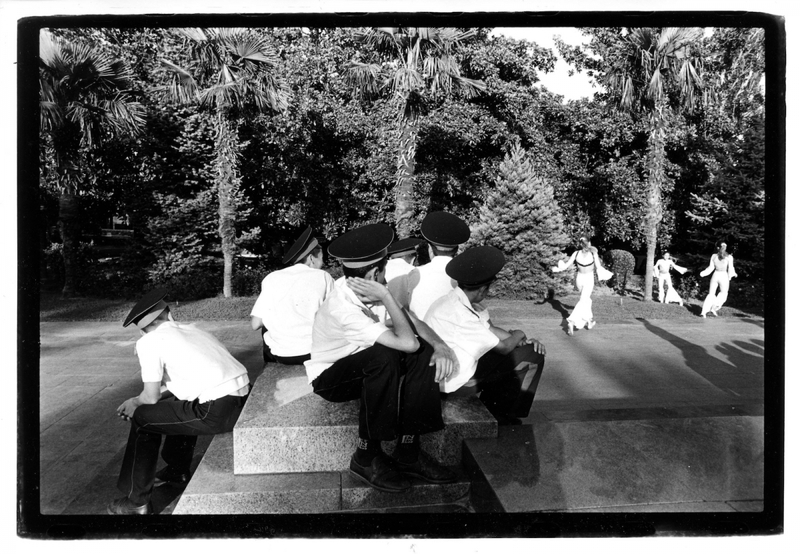 Jason Eskenazi’s first photo book, Wonderland: A Fairy Tale of the Soviet Monolith, won the best photography book award from Pictures of the Year International in 2008, and brought the photographer a lot of notice, including interviews on NPR’s All Things Considered, and Studio 360. 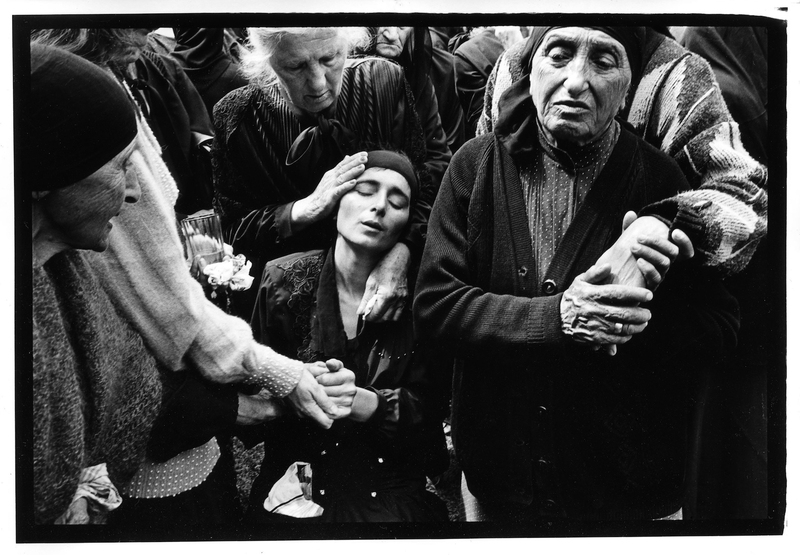 After a stint as a security guard at the Metropolitan Museum of Art in New York City, Eskenazi returned to photographing, this time in Eastern Europe and the Middle East, slowly amassing the material for a sequel. Now, finally, after a decade of anticipation, Eskenazi is preparing to release not one, but two followups to his powerful debut, with Black Garden, and Departure Lounge (Red Hook Editions). We reached Jason Eskenazi at his current home in Istanbul, Turkey to find out more. 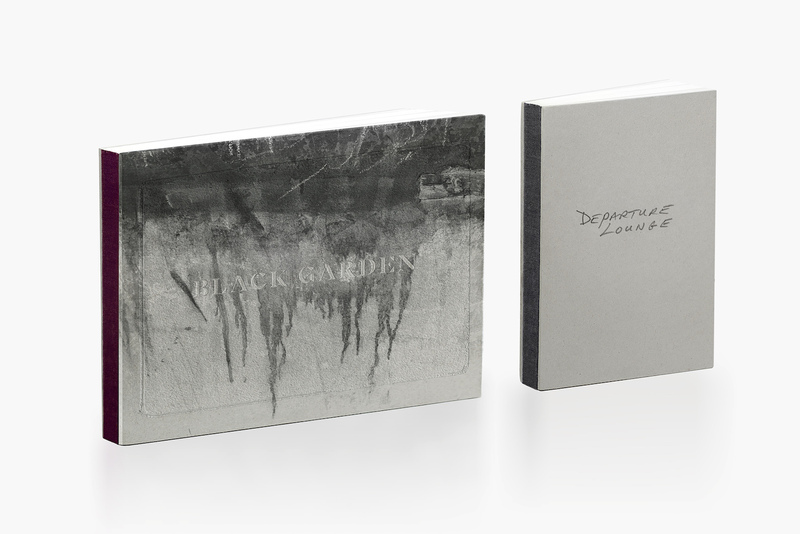 To pre-order Black Garden and Departure Lounge, visit Red Hook Editions. Reuben Radding: Where were the photographs in Black Garden and the Departure Lounge made, and over what period of time? 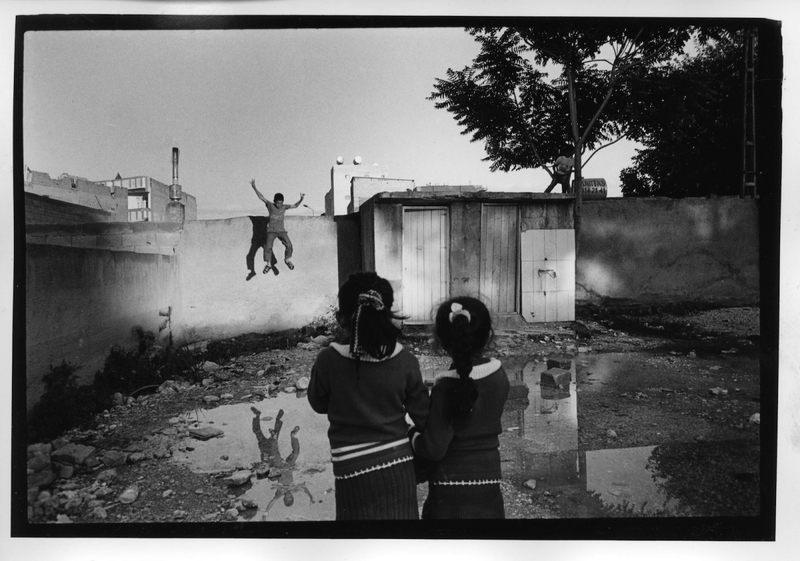 Jason Eskenazi: Photographs from Black Garden cover Turkey, Greece, Iraq, Afghanistan, Ukraine, Egypt, Libya, Sicily, (lands that the ancient Greeks knew about), and New York. Although a nascent idea for this book was in my head when I finished Wonderland, and although some photos go back to 2001, the actual trips for this book began when I quit the MET in late 2009 until 2018. It’s a post 9/11 book. The photos for Departure Lounge were culled from my archive 1991-2017 though most of them come from the same timeframe and places as Wonderland in the 1990’s. I see DL as an aged or matured Wonderland, as you can see some of the Wonderland characters reappearing in Departure Lounge if you look carefully. Radding: Your first book, Wonderland, was a photographic fairy tale about the end of the Soviet era. 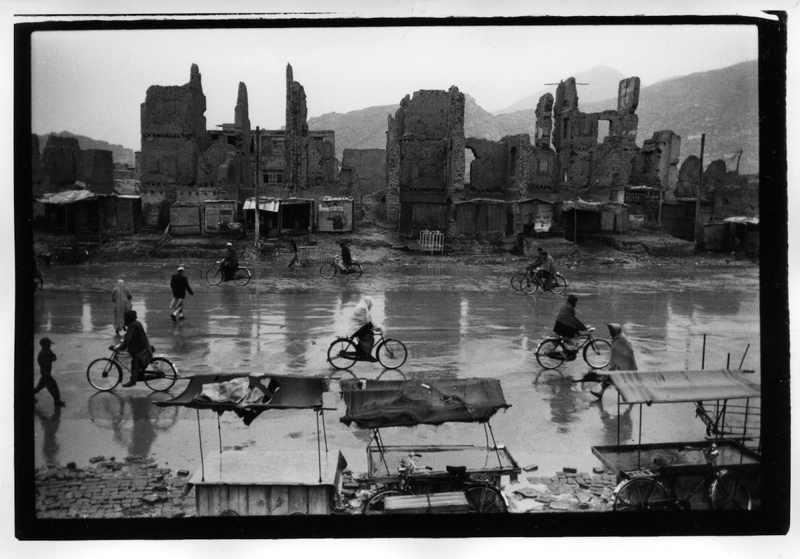 In a sense, a photographic record of political and cultural transition. What themes does Black Garden inhabit and how do they connect to the themes in Wonderland? Eskenazi: Some of the underlying motifs in Wonderland come from fairy tale theory: A parent figure, like the Soviet Union, and a young girl left on her own, like the citizens when the regime collapsed. Black Garden is a continuum into Greek mythology and plays on its themes as well as its philosophical thought. The plate numbers and the chapters numbers continue in sequence throughout all three books. 1-314 photos; 1-9 chapters. I chose three loose but broad motifs for Black Garden; the subjugation of women, the dominion over animals, and the destruction of the natural world. The notion of duality; East~West, Masculine~Feminine, Logic-Emotion are overarching themes of the book. Black Garden is split into three chapters but the book is further broken into two parts by a nine image seascape in the middle. I also used an Xpan for nine panoramic images to break out of the Golden Rectangle. Radding: How did Departure Lounge come into the picture? How does it connect to the other parts of the trilogy? Eskenazi: I was always very interested by novels and movies for structure and characters. I studied 19th century literature and psychology, which proved very useful in creating my books. Though I’ve always been interested in history and being on the ground at historical events, I do not consider myself a photojournalist, and barley a documentary photographer, because I’m not so interested in documenting disappearing rituals or lifestyles. For me, my travels have been a way to accumulate images to be reused for a new visual story that I’m inventing. It’s part personal, part historical, because I was in these places and shot very much like a documentary photographer. In some ways, my photos are very documentary; un- manipulated. I have the captions of the place and year I shot them. But I reassign or recontextualize the photos by using them for their visual meanings or mystery in my own invented visual narrative that exists somewhere between reality and my imagination. A sort of parallel universe. So, in some sense, I see myself as a conceptual photographer. There was a room in a loft where I lived in Red Hook, Brooklyn, that was dubbed the Departure Lounge because it was close to the front door, and as we were a house of photojournalists, we often found ourselves poised by the door waiting for a taxi to the airport before departing to a foreign land to shoot. That name stuck in my head, as did Black Garden for that matter for many years coming from Nagorno-Karabakh. So, at some point Departure Lounge became the conclusion, and this third book was added, as it returned back to Wonderland. I can’t recall when I thought that this had to be three books. Maybe it appeared in my head while I stood guard over the MET collection. Triptychs, trilogies, cycles, are very common in art, books, and cinema. And I felt this completed everything that I wanted to say in this documentary styled mode. Radding: Why are photo books your primary means of disseminating your work? What is it about the book that is so important? Eskenazi: The photo book IS the way. Exhibitions go up and come down and are mostly a way of promoting a book, although you can do many things in an exhibition that you can’t do in a book, and that goes for multimedia, as well. Each are ways of presenting the work, though I feel the photo book has staying power. The book is intimate. It’s tactile. You turn pages. You rub the corners. You take it home. It’s a way of directly talking to the reader even after you are long gone. And it seems endlessly variable like three-chord [progressions] used for thousands of songs. With a project, you take the content, and make a concept, and the book is the form it takes. It’s the shell you want to open for the oyster inside. Books should be innovative and surprising, but not too gimmicky. With my printer and designer, we tried many bindings for a middle section and I decided that I wanted the middle section to be a bit playful where the viewer can participate and change the sequence. The three books form a trilogy that returns to the beginning. As does a good story. A full circle. A journey completed. Radding: In your intro video to the two new books you say, “My journey is done, really. I have nothing more to say.” Do you think you are done with photography or with publishing books? Both? Eskenazi: This journey is done. I have nothing more to say on this topic. I never set out to make Wonderland, and never set out to make a trilogy but I was led there by twists and turns, like Odysseus was led back to Ithaca with many trials and tribulations between. It’s been almost 30 years. I stood behind enough people for foreground, and waited on enough corners for the right person to walk by before I snap. I feel my imagination is bigger than the photos I can take, and I’ve often been disappointed when the photo I could imagine never comes to fruition, and I walk home empty handed. So it’s enough. Time to get married, finally, and have a child. You can’t support a family being a vagabond. And I won’t miss it at all. As photography once freed me, I’m now freed from photography. It was an obligation, not as much dedication, to finish these works. It was not awe inspired, but to do nothing was a much worse fate. At least I had that choice. Time to come home. All images © Jason Eskenazi. To see more of his work, visit his website. Reuben Radding is a New York City street photographer. He is an instructor with the New York Institute for Photography and his work is featured in his book, APPARITIONS: New York City Street Photographs. You can see more of his work on his website and on Instagram.